Change Level and Change Life and many other cheats and codes on this page dedicated to Tower of Time for PC. Welcome to Apocanow! This article talks about cheats and codes of the game Tower of Time and collects in it all the videogame material regarding this game, in particular also Trainers, Achievements and possible solutions. 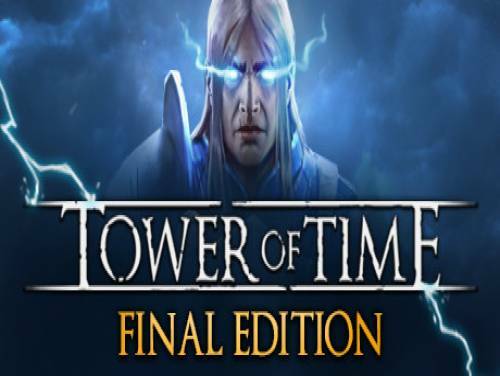 Discover Cheats, Cheat Codes and Tricks for Tower of Time (PC): Change Level and Change Life. Tower of Time also has a promo Trainer available.If you download and run it while playing, it will allow you to get new features, usually additional cheats not obtainable in any other way. A RPG different awaits you: you are an explorer of labyrinths with an innovative real-time combat that allows you to slow down or stop time. It is important to have the tactics to win the fights. Reach level 6 with any hero. Increase a single skill to a maximum. Find all Sleath notes on 3rd floor. Learn all 8 skills on a single hero. Increase any attribute to 30 points. Apply weakness to 20 enemies in one combat. Increase any attribute to max points.